Life is like a vapor––here one moment then gone. That’s the essence of James 4:14; and as we ponder this truth it helps put things into perspective; it helps us realize what our true priorities are. One thing that I have observed while watching the news is how people are coming together to help one another. At times like this, we realize it doesn’t matter what your politics are or what color your skin is, what matters most is people working together to help each other through these horrific tragedies. It’s inspiring to see how people have come together to help their neighbors and do whatever they can to help each other in their time of need. There’s been so many acts of kindnesses reported on the news showing people helping strangers––giving food and water, providing shelter and clothing, or just holding someone in their arms to let them cry on their shoulders. While it is inspiring to see so many people doing generous acts of kindness to people they don’t know, it’s unfortunate that it often takes a tragedy to bring the best out in people. It would be wonderful if this was the way people acted everyday; just because, it’s the right thing to do, and not because a disaster has happened. As Christians we know that doing good deeds and showing mercy to one another is what God expects from us everyday. The Bible says, “For those who are led by the Spirit of God are the Children of God” (Romans 8:14). God has called you and me to be led by His Spirit daily, regardless of what people’s political beliefs are or what color their skin is. When people have needs and we can be of help to them, we don’t even have to think twice about reaching out and helping people in their time of need. If we have the ability to help someone that’s not only what we should do but it’s something that we want to do. The more we reach out to those who are hurting in whatever ways that we can, the more fruitful our lives will be and the more others will be blessed as we put our love into action. Our heart’s desire should always be willing to help those in need––it should be a natural way of life for those of us who call ourselves Christians. the US. 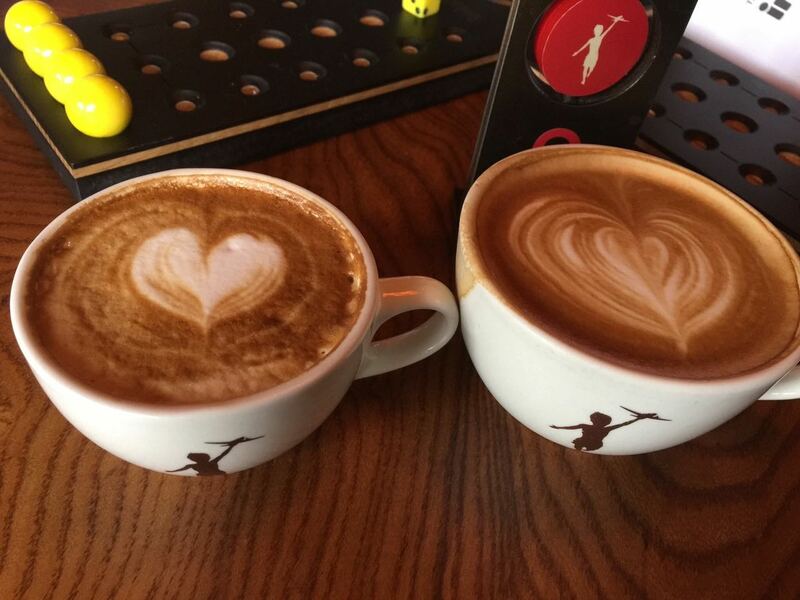 There’s a wonderful coffee house that we often go to called Storyville located at the Pike Place Market in Seattle. 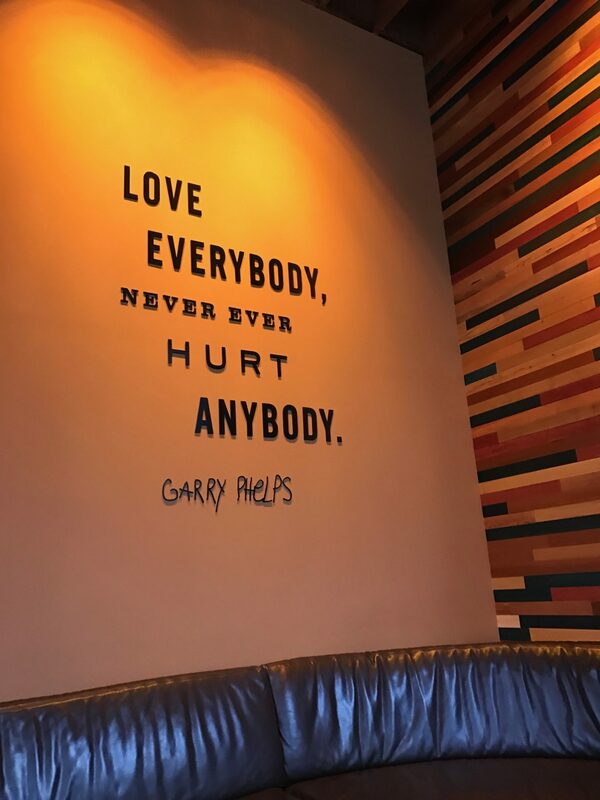 On the wall of Storyville is this saying, “Love everybody, never ever hurt anybody”. I was curious to find out who wrote this statement; so I did a little research. I discovered that the owner of this coffee house has a son with Down Syndrome; his name is Garry Phelps. Storyville. Wow, the wisdom of this child with Down Syndrome is certainly something we could all learn to apply to our daily lives. I’m certainly not perfect, but I am determined to make a greater effort to apply this to my own life, after all, isn’t that why Jesus came to earth, to show us?! 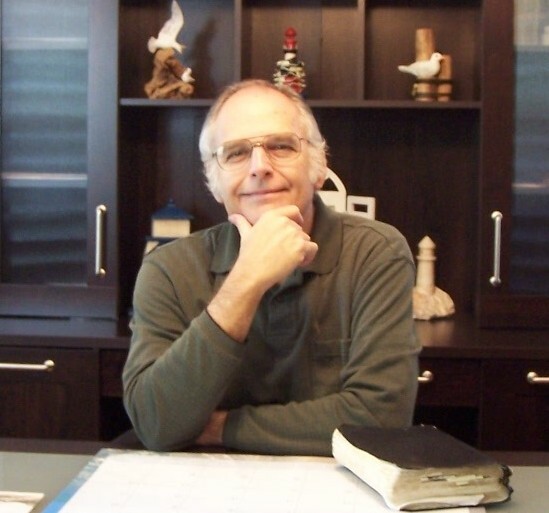 Jesus you have given us an example to follow…to be a servant…to give our lives for others. Help us to love everybody and never ever hurt anybody. For Your honor and glory. Amen.